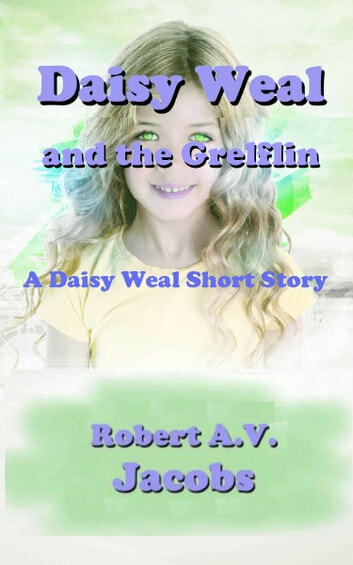 This is a short story, based upon the Daisy Weal series, and if you wanted to insert it chronologically, it would go somewhere between chapters three and Four of book one. There are five books in the series, with the first also being available from Audible and iTunes as an audiobook. It was just a normal night, after a normal day when the Grelflin appeared. His head in a cupboard and his enormous backside stuck up in the air, he was not a pretty sight. His excuse was that he was trying to find his way home, but with his backside still expanding and obviously far too big for a bedside cupboard, what three and a half year old, even one with superpowers, is going to believe that? Fearing that he might explode at any minute, Daisy has to race against time to find out where he comes from, and get him back there before he does.